There’s an interesting dance when deciding with clients where to meet for their session. I always ask in an email: “Are you thinking more nature-y (yes, official Brown Eyed Photography terminology) or urban?” I don’t even think I got that far when emailing Lesley! 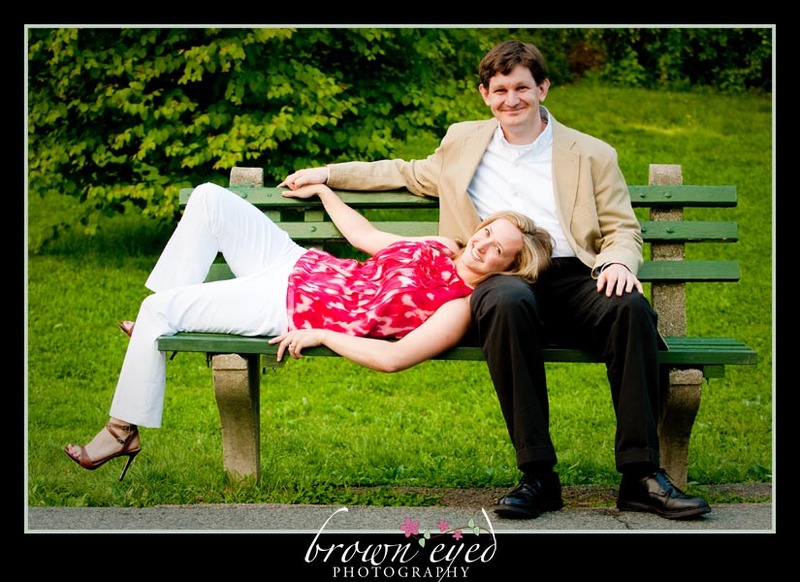 She had a list of ideas (Codman House, Pierce House, Drumlin Farm) which all look awesome but are all also options on her wedding day as she and Alistair are getting married in Lincoln, MA. 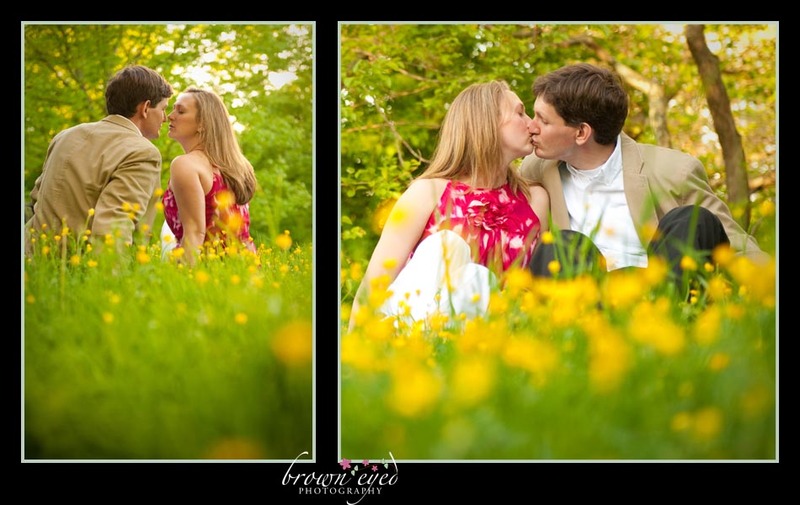 In the end the couple decided on Arnold Arboretum in Boston for their e-session…. and I despite the anticipated nerve-wrecking drive (which lead to attempting to cajole someone else in to driving but turned out to be only minimally anxiety inducing) I was thrilled! This place is amazing with more perfect backdrops then we could possible use in our 2-hour session! This was one of the first images we got. I was testing the water a little to see how much these two trusted me – the answer? A lot! The result: awesome shots! I think one of the best tests of a relationship is how comfortable the couple is with each other and in their own skin. These two were amazing. So relaxed, hanging out, enjoying the arboretum, and each other! See what I mean about trust? I warned these two that I wasn’t sure how this would work but it might be fun to blow dandelion seeds at each other. This was a great game – especially (as you can see) when the seeds didn’t want to cooperate and blow off of their stems! 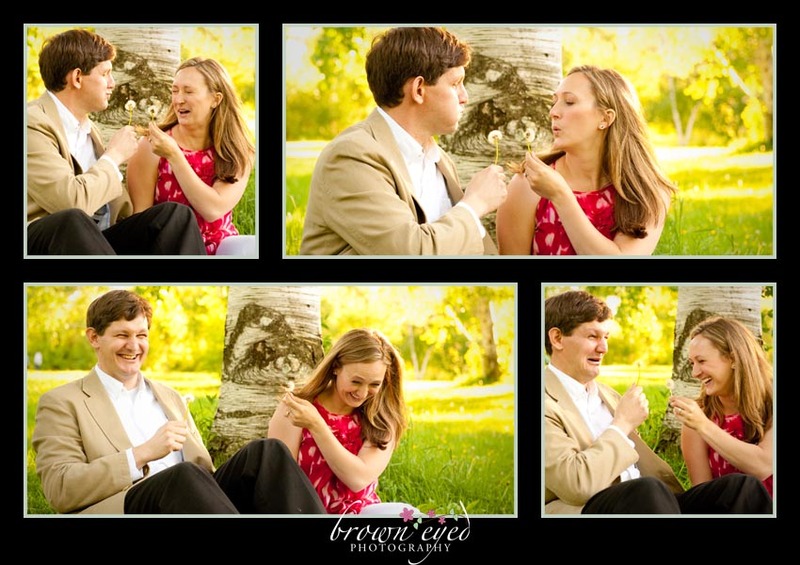 Love this, love them, can’t wait for their wedding! Have I said that already?